MB Davis Group specializes in commercial insurance consulting: an area of expertise often considered an unnecessary expense for smaller companies. We were challenged to convey MB Davis Group as a highly professional service provider offering a personal touch. The objective was to develop a website that would help attract bona fide prospects with a consistent corporate identity and presentation of the MB Davis Group brand. Our first task was to develop a logo that conveys integrity and intelligence. 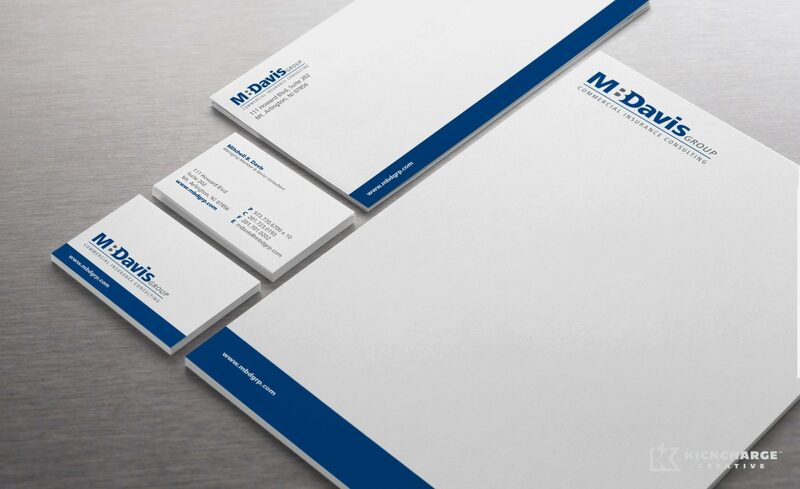 Once Mitch (the M in MB Davis) approved of the logo design, we incorporated it into marketing and print materials, including stationary and document templates. 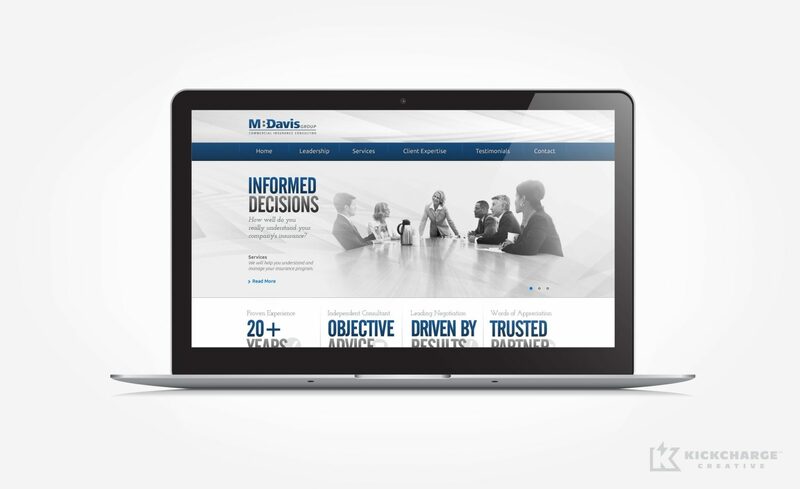 Designing the MB Davis website was no small process, but as Mitch Davis maintained, “we want it done right, not right now.” Our creative team designed, wordsmithed and developed a compelling site that reinforces the brand identity and serves to educate potential clients about the firm’s unique services. We effectively communicated that MB Davis is a respected corporate partner with a human face. We also helped the MB Davis Group improve their web presence with our SEO services and increased their reach through the creation and design of a company blog. “KickCharge® Creative has asked whether I would provide a testimonial and referral for their services. I’m delighted to do so. I’ve had the pleasure of working with KickCharge Creative on the creation and implementation of my company’s new website, and I’m extremely happy with their work. They’ve helped provide my company with a professional and contemporary public image. I’m continuing to work with KickCharge on stationery, presentation templates and blog design, and all of their work is helping to create a unified and graceful public look for my consulting practice.